The military of the Tang Dynasty was staffed with a large population of Turkic soldiers and generals, referred to as Tujue in Chinese sources. 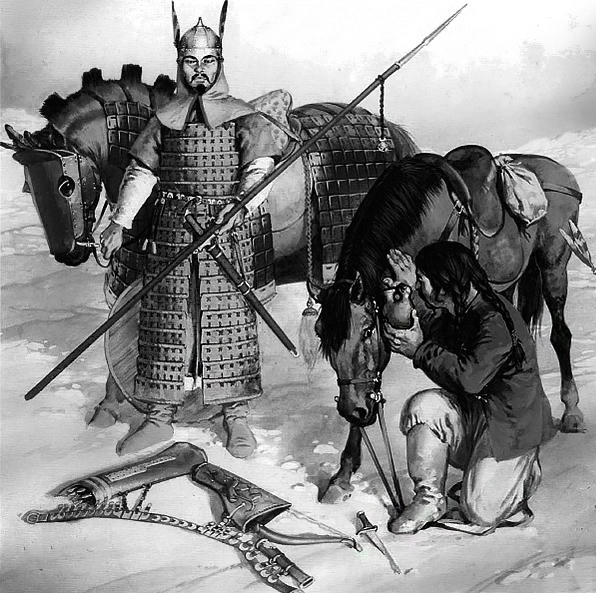 The warrior aristocracy in northern China were familiar with Turkic culture, a factor that contributed to the Tang acceptance of Turkic recruits. Tang progenitors championed a cosmopolitan empire and regularly promoted officers of Turkic ancestry to the position of generals, and it was their familiarity with steppe warfare that contributed to the empire's sudden northern and western expansion. However despite a century of vital contributions as advocates and bulwark to the Tang state, the half-Turkic, half-Sogdian general An Lushan would also ignite an infamous revolt that critically led to the decline of Tang Dynasty. Despite this, Turkic generals and soldiers would be a core fixture in Chinese armies and politics well after the collapse of the Tang. 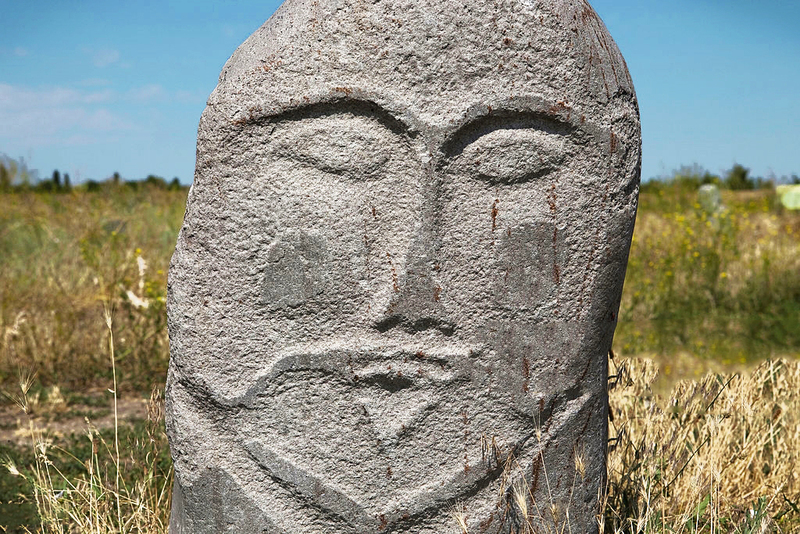 Conversely, from the Turkic perspective, the conservative Orkhon Inscriptions from the stele erected by the revived Gokturk Khaganate were critical of the various Turks that had served the Tang Dynasty, and condemned them for helping the Tang emperor to expand his burgeoning empire. Outside the realm of geopolitics between states, on a purely cultural and ethnic level, the Turkic soldiers stationed by the Chinese in the Tang garrisons of Central Asia eventually led to the spread of Turkic languages in an area that had formerly been predominantly Indo-European. 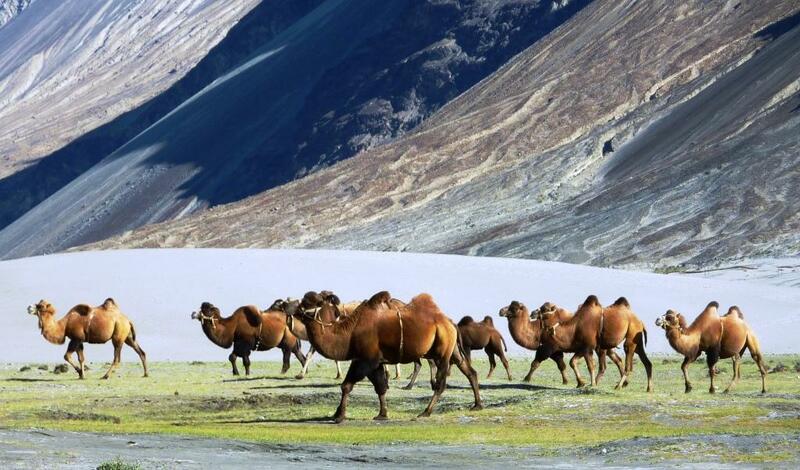 The Tang alliance with the Uyghur Khagnatate would also pave the way for their expansion into the Tarim Basin. In this chapter, we will cover the emergence of the Turkic people, the meteoric rise of the Gokturk Empire, its internal rivalries and the division of the empire in the aftermath of Taspar Khagan's death. 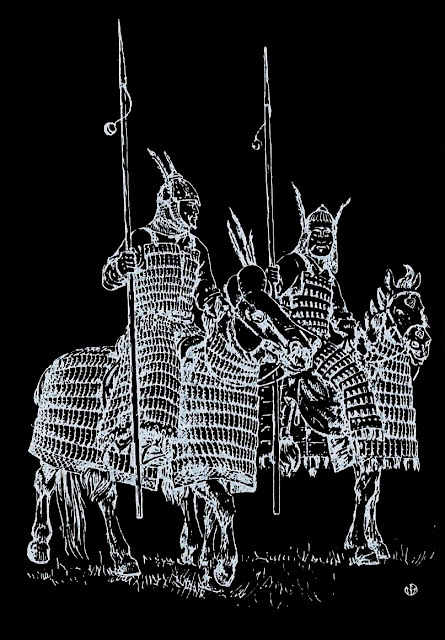 Tune in the next chapter for the record of Turkic generals and generalissimos in the Tang military. 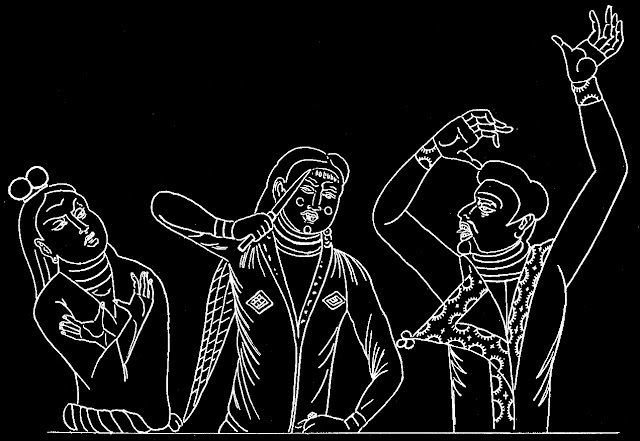 To begin properly, it should be established who the "Turks" of our stories are. For the understanding of most of the western audiences- and to have a baseline of common understanding overall, it must be said that when we refer to the Turks, or Turkic people during this period, the Turks whom we were referring to would have looked like Mongoloid Asians. That is~ having full Asian features, and adapt at riding and horse archery. 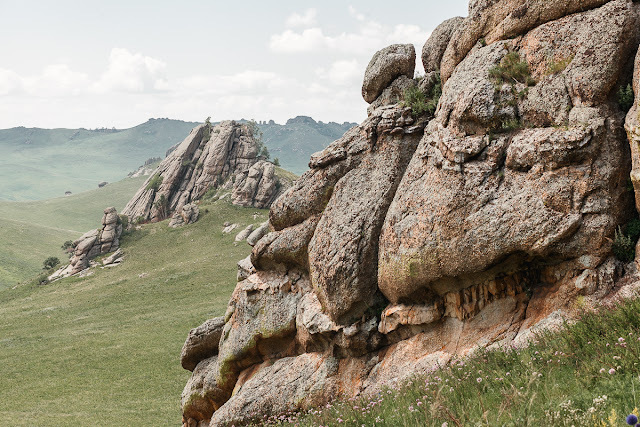 They could be considered as Proto-Mongols who originated from the grasslands of modern Mongolia and then expanded out and carved out an empire of their own. 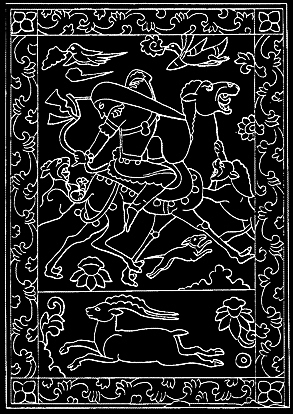 Above: A Turk hunter from the northern wall of the marble sarcophagus of a Chinese official: Northern Zhou (592). Center: Türks in celebration on the western wall of the "Ambassadors' Hall" in Samarkand, Iran. 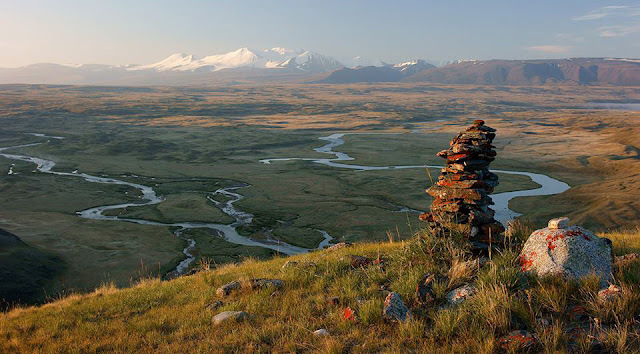 Mid 7th century: The chieftain was marked by his position inside a domed yurt. During their long westward migrations, various Turkic groups would have genetically assimilated with the various natives of the region over the centuries, as a result: by the time they have reached the Middle East and Anatolia, they would have- at least in physical appearances, become quite distinct in appearances from each other, albeit still maintaining shared linguistic foundations and cultural ties. The Oguz Turks would have expanded westward until they reached Anatolia and found great empires such as the Seljuk Empire and later the Anatolian Beyliks, becoming "Middle Eastern" in appearance, on the other hand, the Kipchaks Turks who largely stayed in Asia would have retained their East Asian appearances. 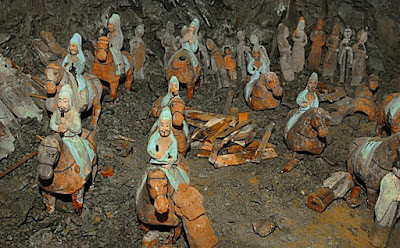 Gokturk funerary hoard, riders in blue riding coats with open lapels. The warriors carried recurved composite bows and a large arrow case. The first Turkic people emerged from the open steppes of Mongolia. The earliest separate Turkic peoples appeared on the peripheries of the late Xiongnu confederation about 200 BCE (contemporaneous with the Chinese Han Dynasty). 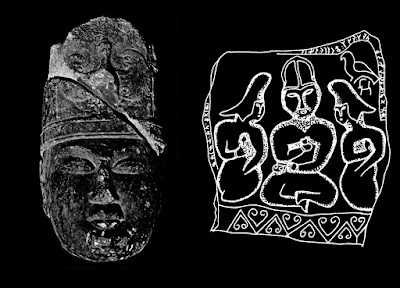 Turkic people may be related to the Xiongnu (Huns), Dingling and Tiele people. 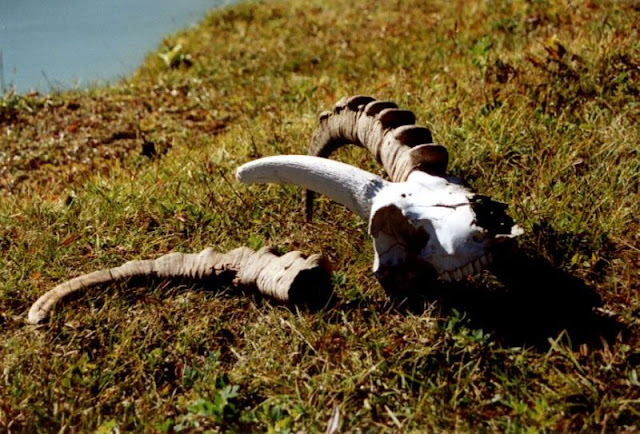 These were nomadic herdsmen and nobles who constantly searching for new pastures and wealth. The first mention of Turks was in a Chinese text that mentioned trade between Turk tribes and the Sogdians along the Silk Road. The first recorded use of "Turk" as a political name appears as a 6th-century reference to the word pronounced in Modern Chinese as Tujue. The founders of this new Turkic polity, the Ashina clan actually migrated from China during the 5th century, from the city of Liqian (Zhelai Zhai) in Gansu Province of central western China- then part of the Northern Wei to the great superstate that flanked China's north: The Rouran Khaganate which encompassed most of modern Mongolia. 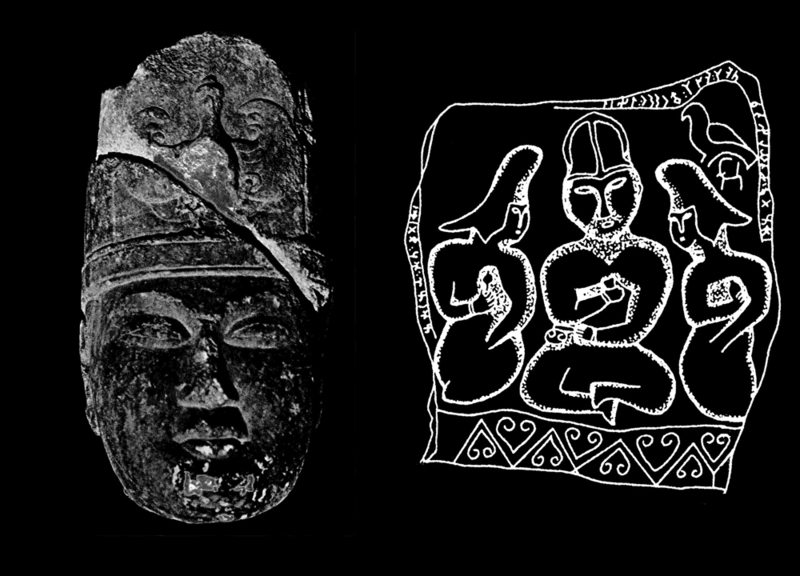 The tribe were famed metalsmiths and were granted land near a mountain quarry which looked like a helmet, from which they were said to have gotten their name 突厥 (tūjué.) A century later after their arrival, their power had increased to such a degree that the Ashina dared to seek the hand of the Rouran Khagan's daughter. In 546, when Bumin, the patriarch of the clan made a preemptive strike and violently put down the Uyghur and Tiele tribes who were planning a revolt against their Rouran overlords, after putting down the rebellious tribes, he sought marriage into the royal Rouran clan. However his proposition was rudely rebuffed by the Rouran Khagan himself who then proceeded to insult the Ashinas directly, this in turn incensed Bumin who launched a rebellion against the Rourans. His tribe quickly joined forces with the Western Wei (successor state of the Northern Wei and also common enemy with the Rourans) and revolted against the Rouran's dominion. 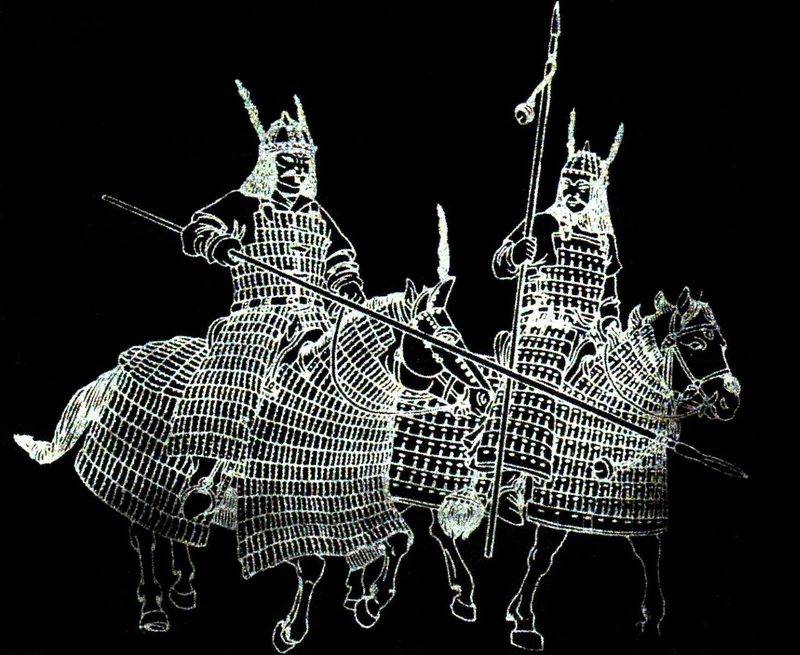 In 552, Bumin decisively defeated the Rouran Khagan and his forces north of Huaihuang (modern Zhangjiakou, Hebei). 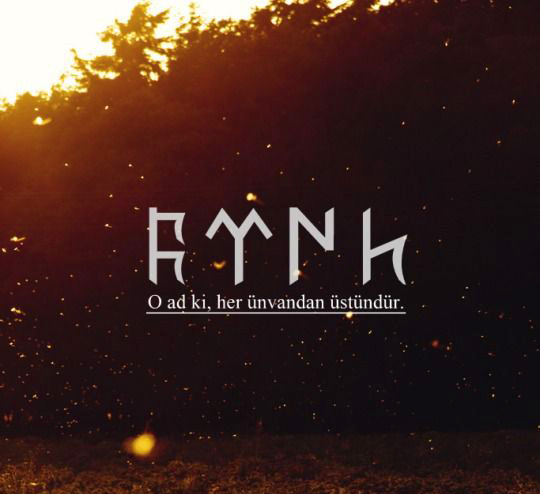 After which, Bumin declared himself the new Khagan of a "Gokturk" state before passing away. His successor, Issik Khagan, would also die shortly after, passing the throne to Bumin's second son, the capable Muqan Khagan. 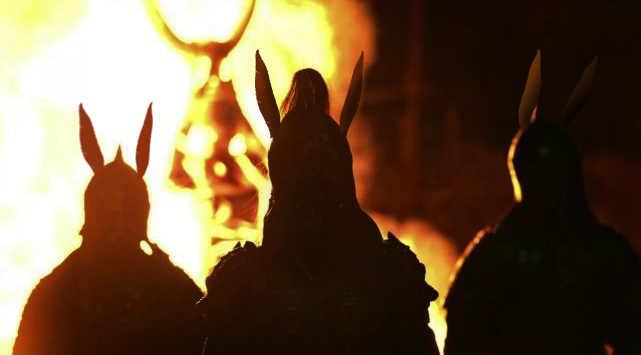 In 555, the Ashina forces destroyed the last holdouts of the Rouran and beheaded 3,000 Rourans they captured. Within not even a decade of the insurrection, the Rouran Khaganate was overtaken. 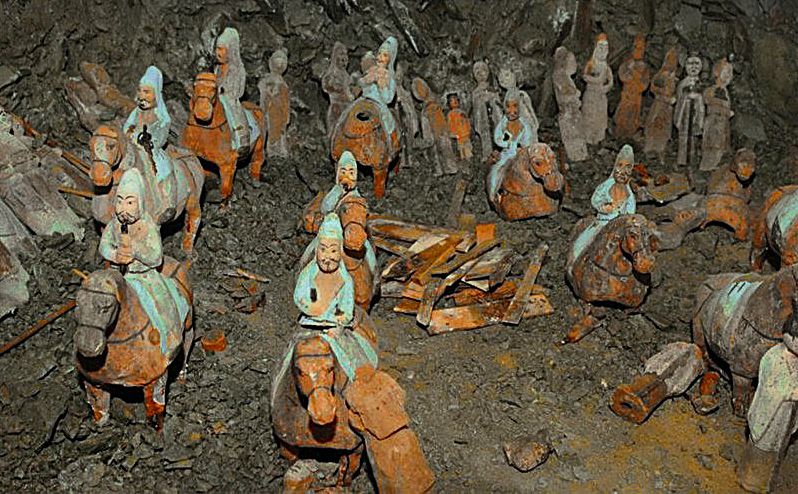 The remainder of the Rouran fled into China. 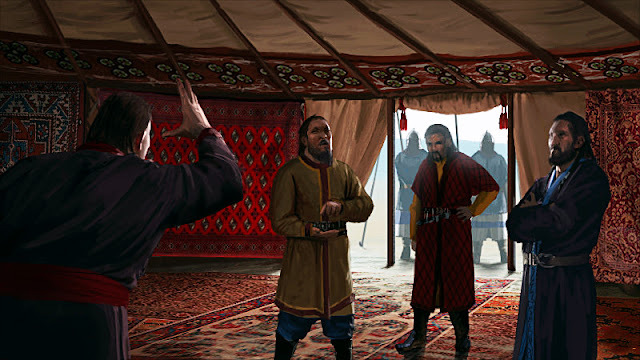 The last Khagan fled to the court of the Western Wei, but at the demand of the Turks, Western Wei executed him. The rest were absorbed into the border guards, after intermarriage and assimilation, the Rouran disappeared forever as an entity. In their former place, the great Gökturk empire had risen. 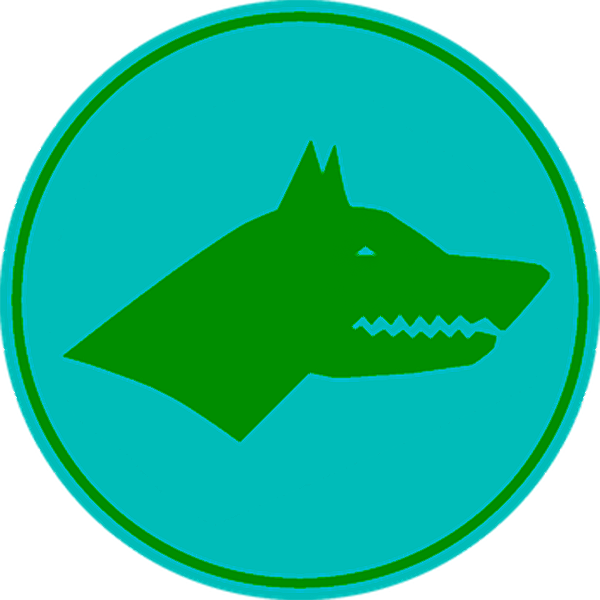 A modern rendition of the Gokturk Khaganate's flag depicting the head of Kökböri, which simply means bluewolf. The blue wolf has continually been used by the descendants of the Gokturks, including the modern Nogai people. 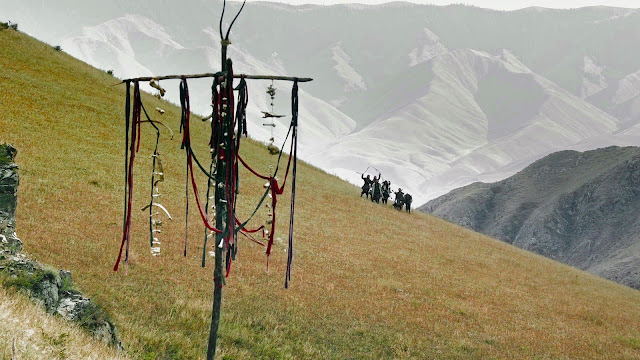 What followed within a single generation since Bumin (or more correctly, the late Bumin Khagan's) death would have astounded everyone within the periphery of the endless steppes. We have already described the destruction of the Rourans- who had for centuries been the hegemonic steppe superpower of the 4th and 6th centuries. But as soon as the Gokturk Khaganate was consecrated, it immediately launched a unilateral campaign of expansion in all directions. Like a rapid wind, they sped across all known corners of the Eurasian steppes. fight (and win) with the Turks on equal footings. Bumin's son, Muqan Qaghan, attacked the powerful Hephthalite Empire (also known as the White Huns,) for they had been allies of the Rouran, he also forayed into Khitan pastures in the east. Bumin's brother Istämi (d. 576) who bore the title "Yabgu (Vicerory) of the West" consolidated the empire's western expansion by collaborating with the Sassanid Empire of Iran under Khosrow I and ultimately destroyed the Hephthalites, taking their lands in one fell swoop. Muqan also began to actively exert power on the Chinese states to his south, for half a century, his successors would ally with one of the Northern Chinese kingdoms (then during the fractious Northern and Southern Dynasties) while raiding the other with impunity. With these vigorous expansions, the Ashina clan monopolized nearly the entirety of the Silk Road all the way to the Byzantine boarders. It was here that an unique dynamic was formed within the burgeoning Gokturk Khaganate, one that would have long lasting consequences that would be inseparable from the fate of the empire itself. Previously we have talked about the mutual cooperation between the sons and the brothers of the Bumin Khagan and described how the two halves of the family would be responsible for different wings of the empire's expansion. One side would focus on the affairs in the east while the other would focus on expanding ceaseless into the west. By the height of the empire, it would have stretched from the Crimean in the west all the way to Manchuria in the east, all of the Eurasian Siberia was their pasture. Divisions of the Gokturk Khaganate: Upon reaching its territorial zenith, the Ashina clan of the empire began to split along the Princes and their royal uncles (the Turkic system of inheritance rotates laterally from uncles to the sons of their brothers, however at the death of the Taspar Khagan, there was a succession dispute that triggered an all out civil war. 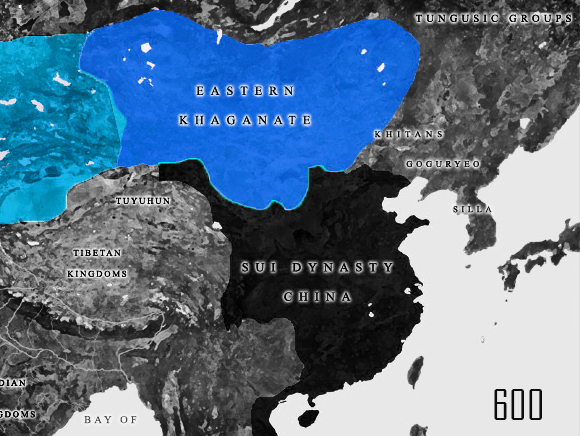 By the end of the 6th century, the empire was split into two quarreling polities, the Eastern and Western Khaganates. Istämi (Bumin's brother's) policy of western expansion brought the Göktürks into Europe. In 576 the Göktürks crossed the Kerch Strait into the Crimea Penninsula. Five years later they laid siege to Chersonesus; their cavalry kept roaming the steppes of Crimea until 590. As for the southern borders, they were drawn south of the Amu Darya, bringing the Ashina into conflict with their former allies, the Sasanian Empire (with Byzantine aid.) Much of Bactria (including Balkh) remained a dependency of the Ashina until the end of the century. All of the smaller kingdoms from the mountains of Afghanistan to Ferghana now bows to the mighty Gokturks, and even the Sassanians had to pay them tributes of slaves and jewels. However it was also here that the two wings of the empire- of Princes and royal uncles began to fracture. 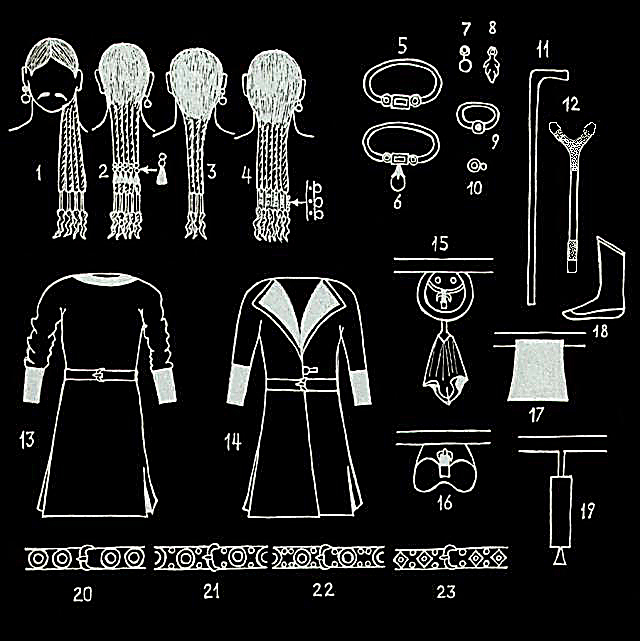 wore by Turkic warriors of the era. Istämi, although calling himself a Yagbu (Viceroy) effectively ruled the far-western region of the Khanate with near total autonomy and without any direct oversight over his rule. His son Tardu, too inherited the position of Yagbu, and he too was autonomous and had de facto sovereignty while only nominally recognizing the authority of the Kaghan. In 583 upon the death of Muqan Khagan's brother and successor Taspar Khagan, the tensions with the western and eastern halves of the empire culminated into open hostility. Without a clear delineation of the territorial authority of the Khagan and role of the management within the east and west, Taspar's death triggered a succession crisis that erupted into civil war. Above: Sorrowful Turk. Eski Türklerde Yuğ (Cenaze) Törenleri. 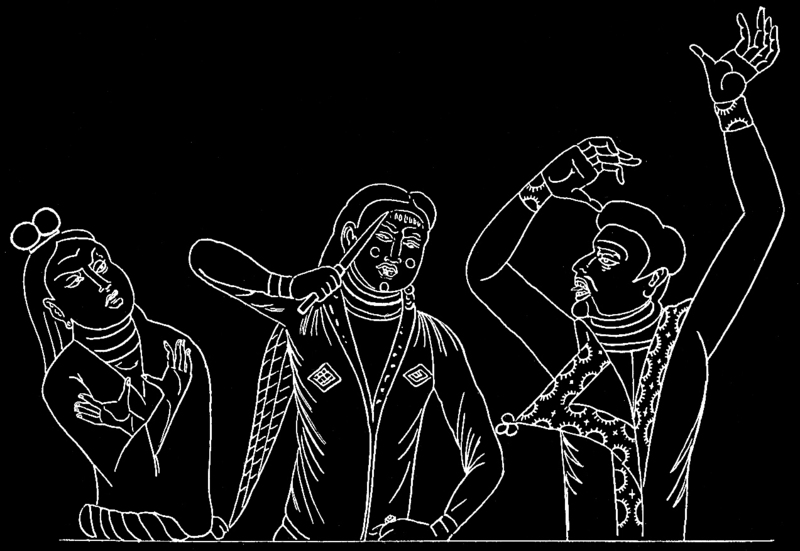 Detail painting of the 6-7th centuries, like many steppe cultures, Turks would display their mourning to important clan members by slashing their own cheeks. 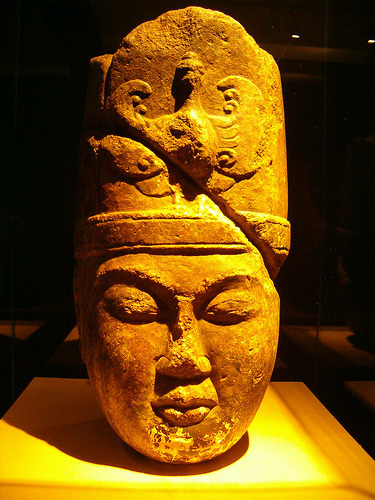 Below: A Turkic headress, with details displayed, stone. 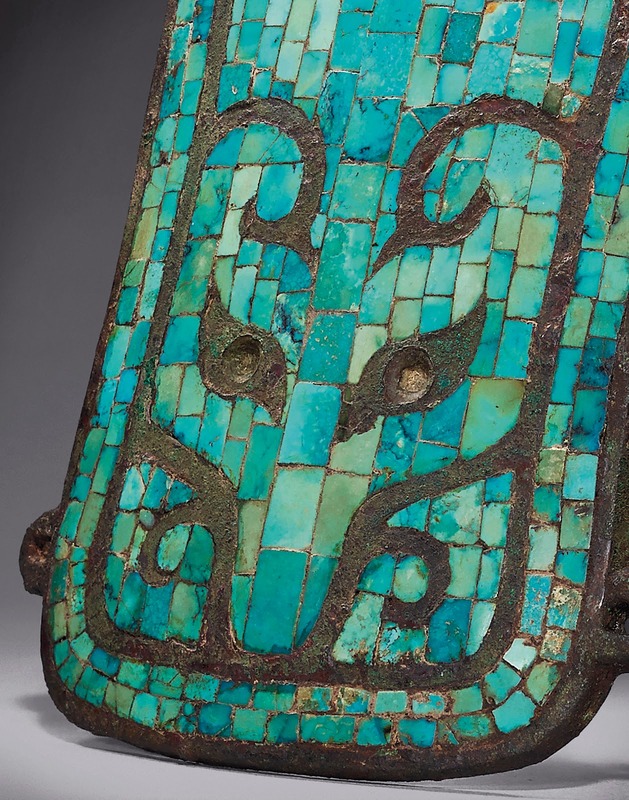 6th-7th century, Eastern Mongolia. Taspar had willed the title of Khagan to Muqan's son Apa Khaghan, this bequest ran contrary to the traditional system of inheritance which demanded the throne to be passed to the son of the eldest brother, Ishbara (son of the 2nd Khagan of the empire: Issik Khagan.) The high council (the legislative branch of the empire) defied his will and appointed Ishbara Khaghan instead with the support of most of the conservatives. Factions quickly formed around both leaders, and the two pretenders excommunicated each other and declared the other illegitimate. Soon, there were four contenders for the throne and the devastating civil war would last almost 20 years from 581-603. In 584, Ishbara Khaghan raided Apa Khaghan 's territory and killed the Apa Khaghan 's mother. Apa Khaghan took refuge in the west in modern Russia and allied himself with its powerful ruler Tardu (Royal uncle Istämi's son, the sitting Yagbu of the west, de facto ruler of all west in all but official title...and~ another fierce contender). Both Tardu and his brother Tamgan, ruled the Volga river area, and supplied Apa with troops. For Ishbara Khaghan, despite his legitimacy and the support of the legislative branches of the Khaganate wasn't able to compete with this tripartite alliance. In 583 he was resoundingly defeated by Tardu, who invited Sui China to the south of the Eastern Khaganate to attack Ishbara, and then goaded Ishbara's Khitan vassals to betray him in the east while the combined western armies smashed Ishbara's forces. Not only did Ishbara lost great chunks of his western, eastern, and southern holdings but the betrayal by the Khitans also made him loose qut: his legitamacy and leadership authority over the rest of his vassals. To compound his problems, his crumbling central holdings was hit by a famine. 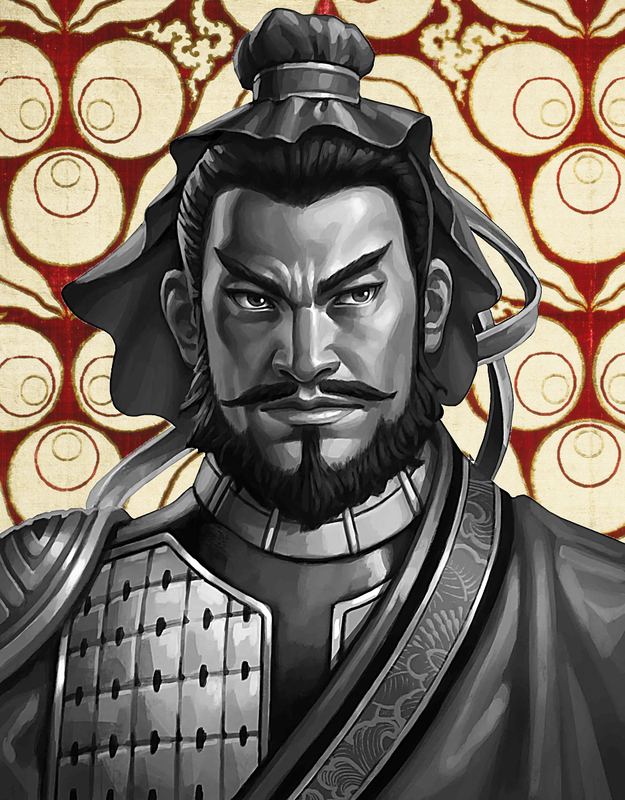 In his desperation Ishbara too sought aid with the newly established (and unified) Sui China to protect himself. 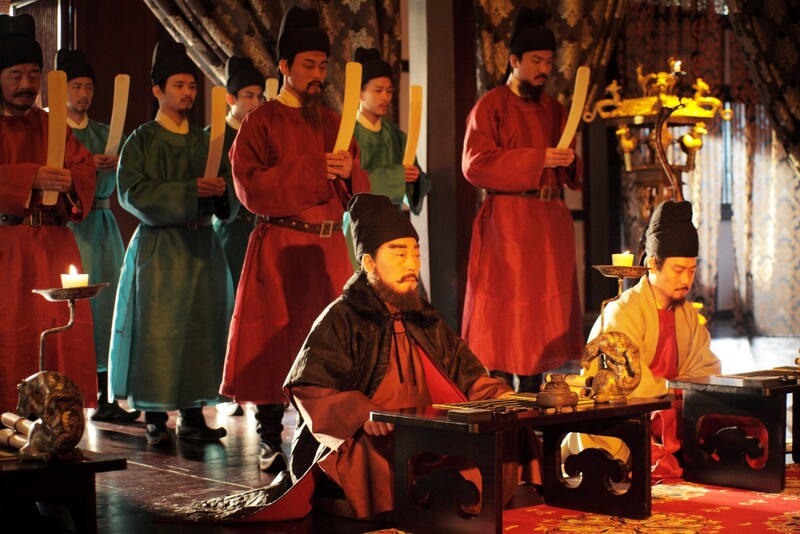 In 584 Ishbara appealed to Emperor Wen of Sui, pledging himself as a vassal and sent his son as hostage to Chang' An. At this point it should be stated that the Turks and the Chinese peoples were already intimately familiar with each other, both in diplomacy, kinship, and occasional warfare. After all, the Chinese- and their polities have always existed in the region that was the haunt of the former Han empire, and the Turks themselves were an outgrowth of the old Xiongnu- Xianbe- Rouran steppe confederation. 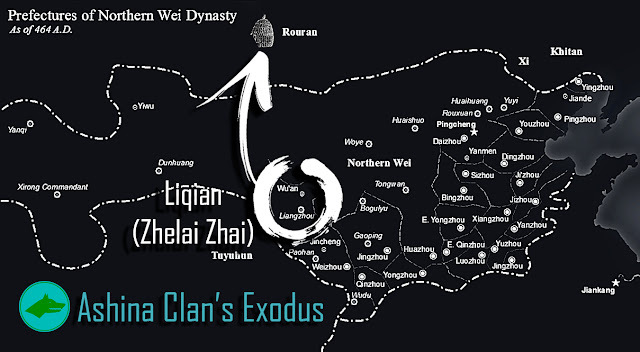 Remember that the Ashina clan- even a century before reaching their position of prominence in the open steppes had lived within Chinese periphery within Western Wei. 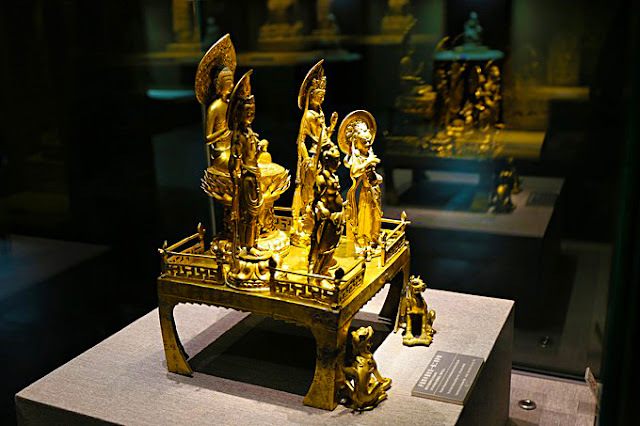 On a deeper level, for half a century since the Gokturk Khaganate was first consecrated, the rulers of both the Khaganate and various northern Chinese Kingdoms have intermarried with each other. 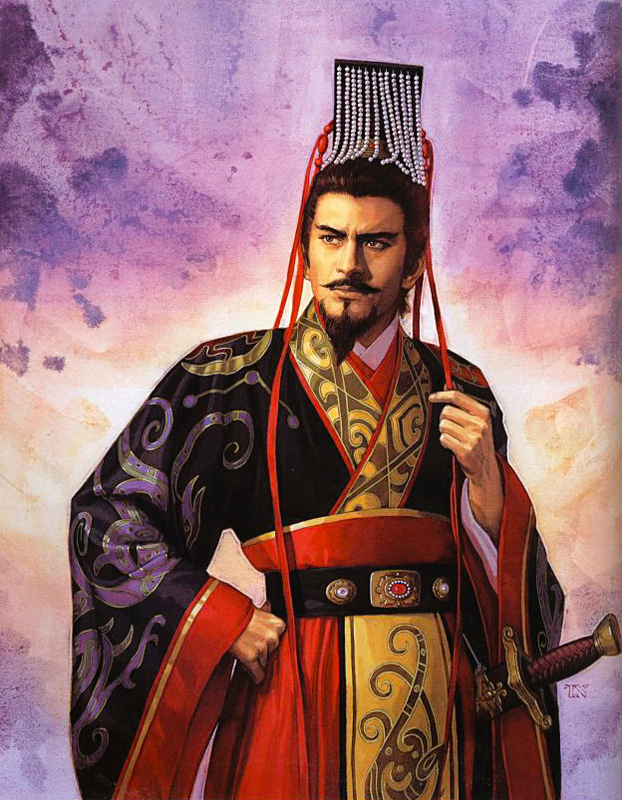 Bumin Khagan, the founder of the empire was married to Princess Changle of the Western Wei, Muqan Khagan's daughter Empress Ashina was the wife of Emperor Wu of Northern Zhou. Taspar Khagan's Empress was Chinese, titled Qianjin, and he would actively court Northern Qi after he had turned on Northern Zhou and made wars with them. 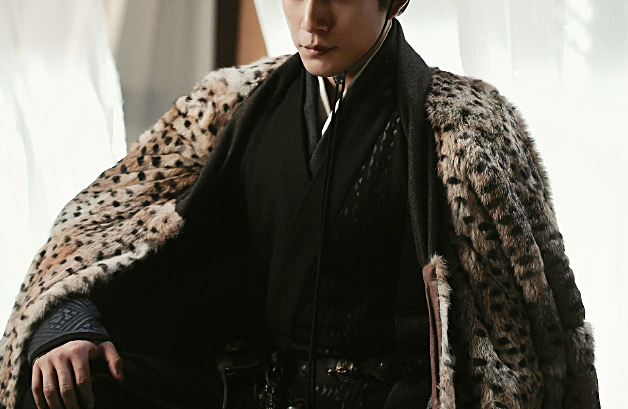 That said Empress Qianjin would also be sought after as a wife by the now isolated Ishbara Khagan. 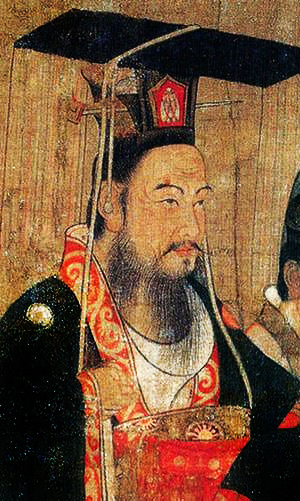 Emperor Wen of Sui. 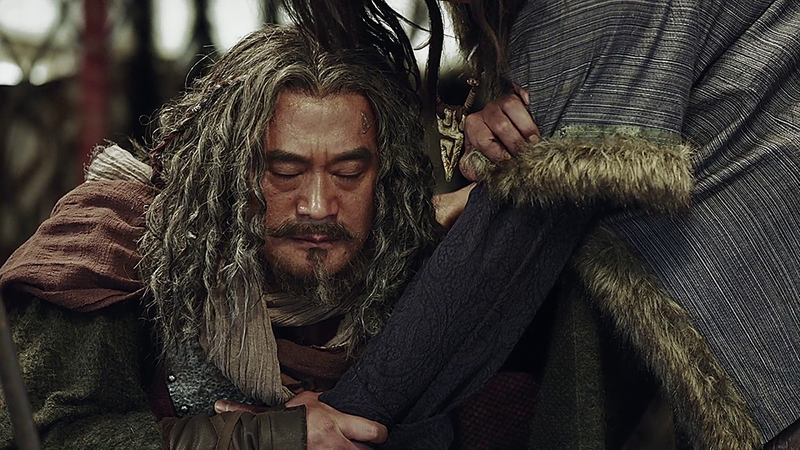 A father-in law of Northern Zhou's Yuwen clan. 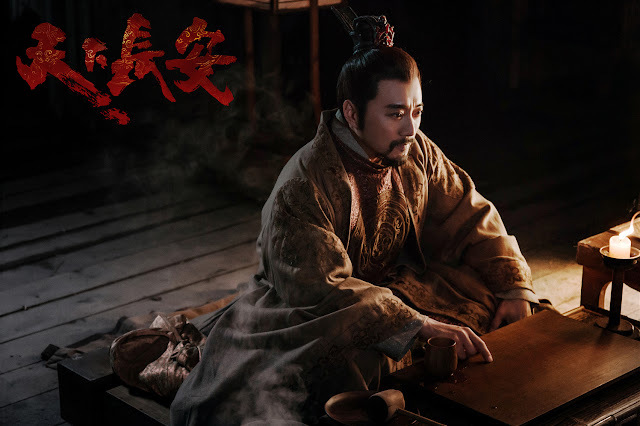 He would displace house of Yumen and later absorb the state of Chen in southern China, declaring the formation of the Sui dynasty, which unified all of China for the first time in 300 years. 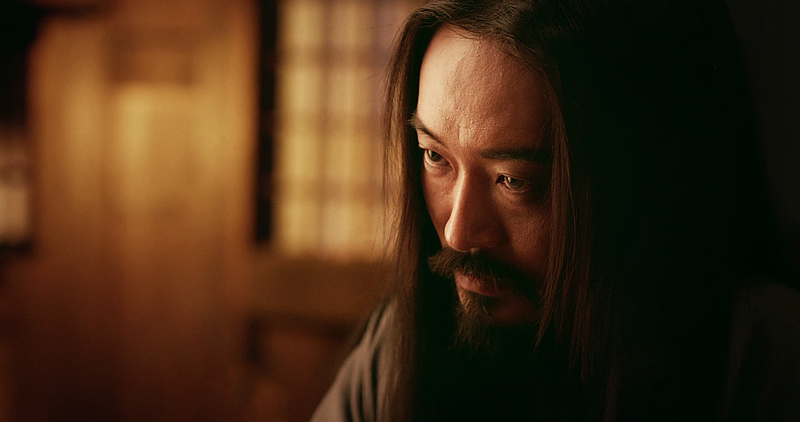 Though serious, severe, and a disciplinarian at heart, Emperor Wen was also a workaholic and a dedicated life-long reformer. He implemented many reforms that would see China prosper and be well- governed for centuries in the succeeding Tang dynasty. He created the Fubing military system and the progressive taxation system which the Tang would adopt, tackled corruption throughout his tenure, and codified laws so it could both fairly applied across the realm. In all matters, the royal houses of both sides were rather incestuous, both Muqan and Taspar had also imported Chinese Buddhist missionaries and scholars for administration. 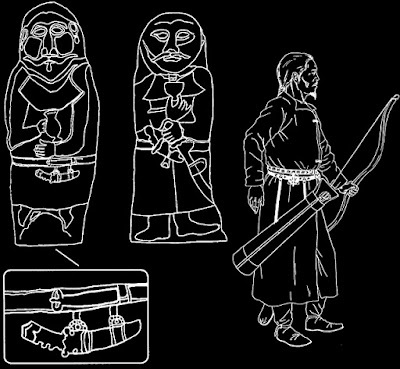 Sui's culture- which sprung from the northern warrior aristocracy of China, very much mirrored many of the steppe traditions, from clothing, values, customs, to their blood line- for much of the northern Chinese nobles had Xianbei (Proto- Mongol) blood, if not directly from their fathers, then definitely their mothers. 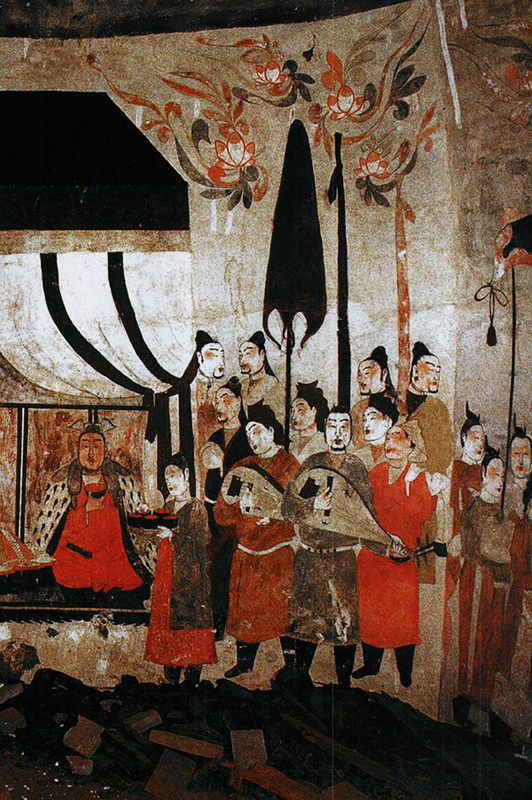 Nobility of Northern Qi, one of the northern Chinese kingdoms. At a first glance one would find many similarities between them and the Turks (the riding robes, riding boots, and long unwrapped hair) this is because they themselves were also descended from the steppes. For centuries all of the Northern Chinese Emperors had "barbarian" lineage (Xiongnu or Xianbei) along with the majority of the north's warrior aristocracy. 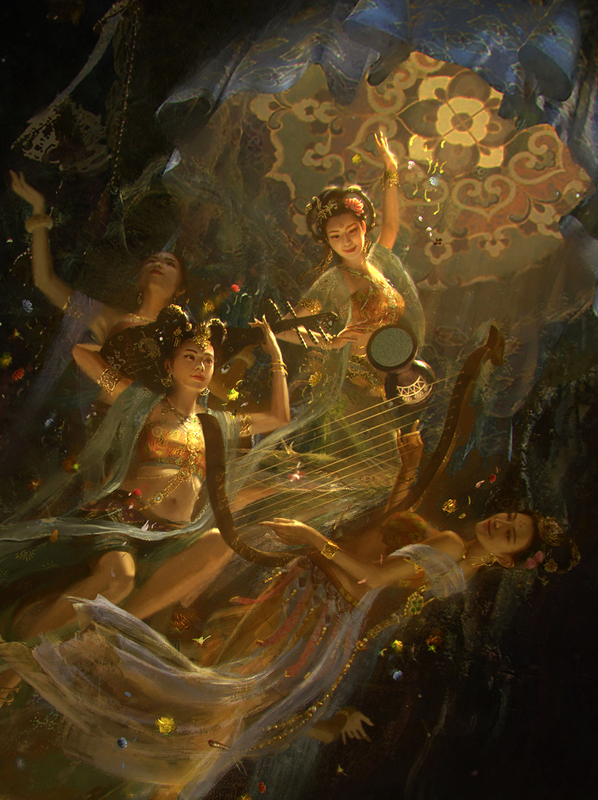 Despite being Han Chinese in the patrilineal line- both the house Yang of Sui and Li of Tang dynasties had Xianbei blood from the maternal lines of their family. Simultaneously, the two people's polities could not be stated to be on the best of terms either, at least from the Chinese perspective. When the Gokturk Khaganate was established with Chinese (Western Wei's) aid, it was understood that perhaps unlike the Rourans (previously arch enemy of the northern Chinese kingdoms) that a new parity could be reached with China's steppe lords to the north. However, in the half century after Bumin's enthronment, the Gokturks had always heavily meddled in the politics of northern China and would ally with either the Northern Zhou or the Northern Qi and raid the other with impunity. 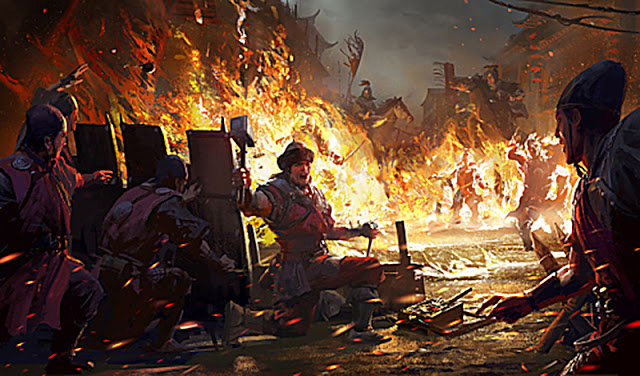 It was unrestricted warfare and lawless carnage geometrically across the northern fronts, and so long as China was divided, the north was constantly plundered, burned and had its denizens enslaved. 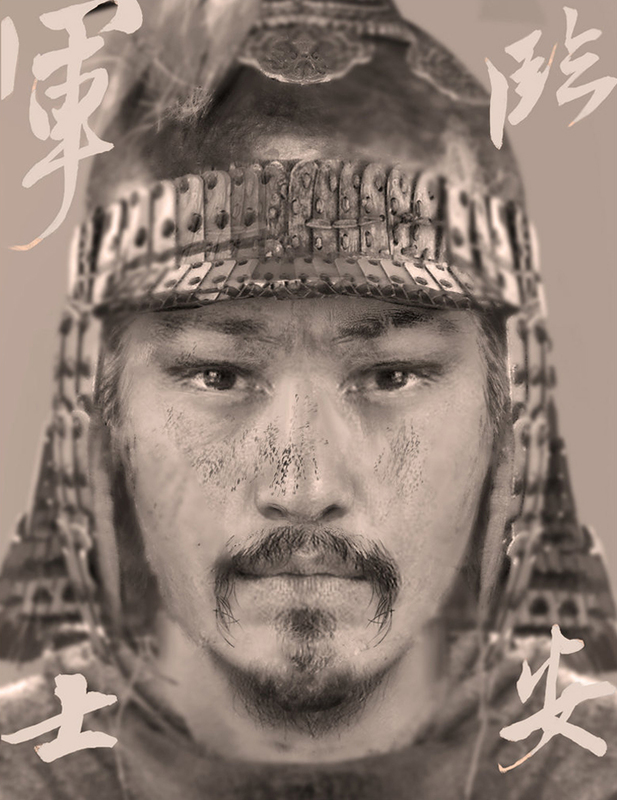 Even the Sui themselves would probably have not been too keen to help one such as Ishbara, for- throughout the half of a decade before he would call the Sui and beg for aid, he himself undertook multiple deep raids across the back of Northern Zhou and then Sui's northern frontiers. For any historical bystanders, it was here too, that the dynamics between the great Khaganate and the fractured Chinese polities changed. In 581, the Sui unified all of China, and for the first time in nearly 300 years, China was no longer endlessly fighting with itself. 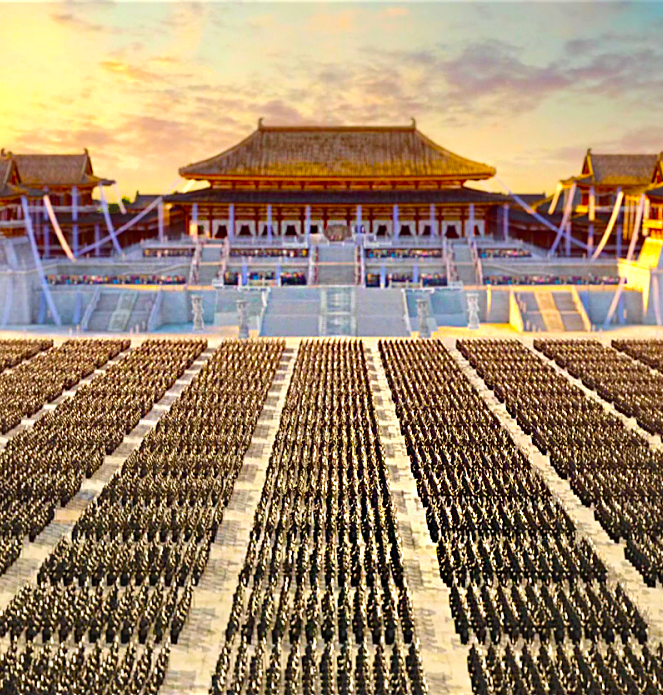 For the first time in 300 years, China could look at a troubled front and respond with one force. Regardless of whatever reservations Emperor Wen had felt toward Ishbara personally, sensing divisions within his dangerous northern neighbors, Wen threw his forced behind the Eastern Gokturk Khaganate. In turn, Ishbara pledged himself as a vassal to the Sui Empire. With Chinese support Ishbara Khagan was able to capture Apa Khagan's family members. Apa Khaghan once again escaped west and settled in the Paykend near Bukhara (in modern Uzbekistan). However, in his new territory, his former alliance broke their oath and he lost the support of Tardu because of the disagreement over the control of the Silk Road. In 587, both Ishbara Khaghan and Apa Khaghan died. 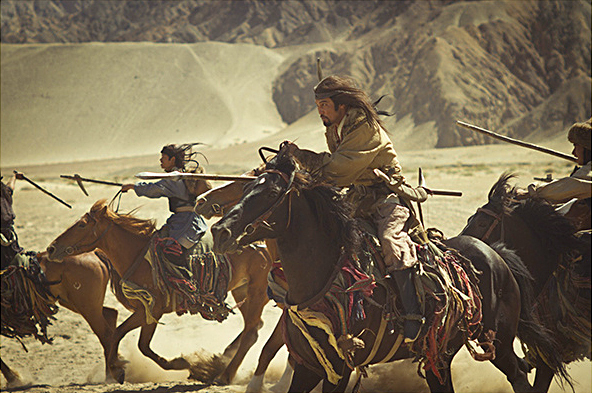 Ishbara would die during a hunt, while Apa Khagan would be captured, then summarily executed. The war that was started in both of their names (and its consequences) were far from over. the a united Gokturk Khaganate under their rule. Tardu of the Western Khaganate- by now the strongest pretender to claim the mantle of the entire Gokturk Khaganate soon casted away his charade of an "Yagbu" and problaimed his ambition, taking the title of "Khagan" of a united (east and west) Khaganate. But his new status was not recognized widely. 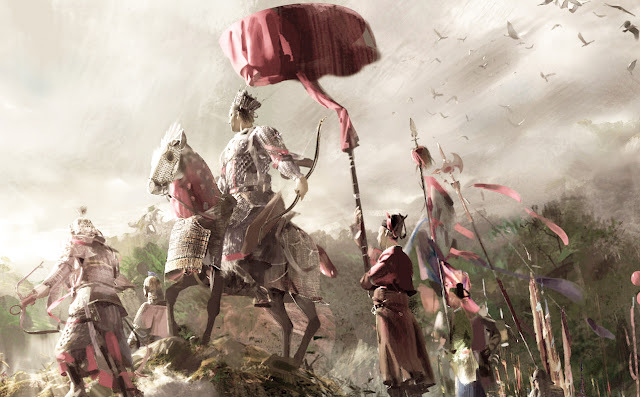 Probably to persuade the many nobles and elders of the empire who still doubted his leadership, he launched an all out offensive toward Chang'An, the Sui capital around 600, demanding Emperor Wen end his interference in the civil war. However, Tardu Khagan discounted two factors, the distance of his march from central Asia to China, and the intensity of the hatred the Turks of the Eastern Khaganate felt towards him and his army. Tardu Khagan's campaign was too far away and his army suffered intensely from the poisoned waterwells during the long expedition through the steppe lands. Finally, due to the attrition sustained he had to order a total retreat without any serious battles for show. But this defeat without battle was a disastrous blow for him. And it was also here, that in retaliation, Chinese diplomacy successfully incited a revolt of Tardu's Tiele vassals, which led to the end of Tardu's reign in 603. 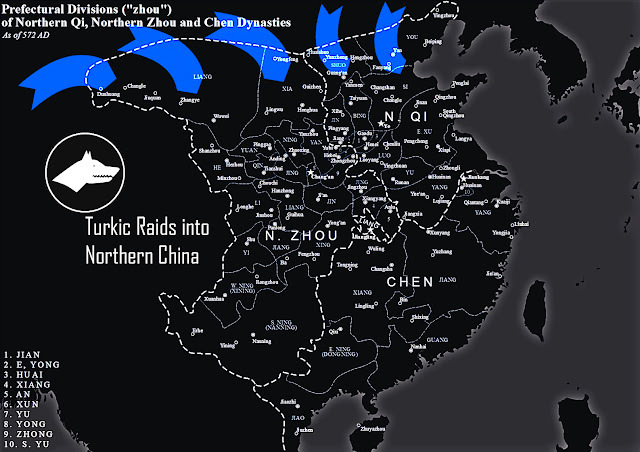 Among the dissident vassal tribes were the Uyghurs of the Tola Valley and the Xueyantuo tribes, who also rose up and joined the Eastern Gokturks- Sui alliance. After a rebellion of his subjects, Tardu disappeared from history altogether (and probably was killed) in 603 or 604. This bitter note would mark the end of the first Gokturk civil war. Despite being full of cunning and having waited on the wings while the two contenders fought, in the end, Tardu's private ambitions, along with the ancient unanswered question of who's really in charge of the Khaganate only furthered the state of the empire towards fratricide. 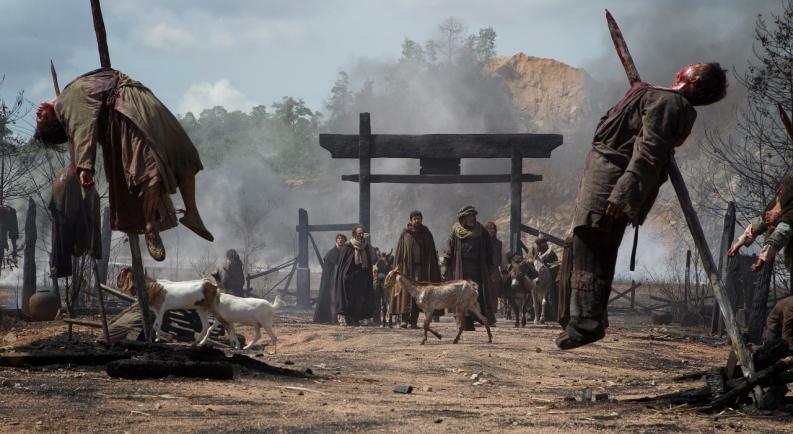 Afterwhich, there would always be two fractured Khaganates, the Ashina clan too, would be divided into a dozen ways. The civil war would last...until the end of them both. Join us next part for chapter 2 where we will examine the lingering effect of a fractured Gokturk Khaganate. The increasing level of meddling and counter meddling between the Eastern Gokturks and the Sui (especially as the Sui implodes in rebellion and anarchy) and the rise of an unexpected Chinese conqueror. 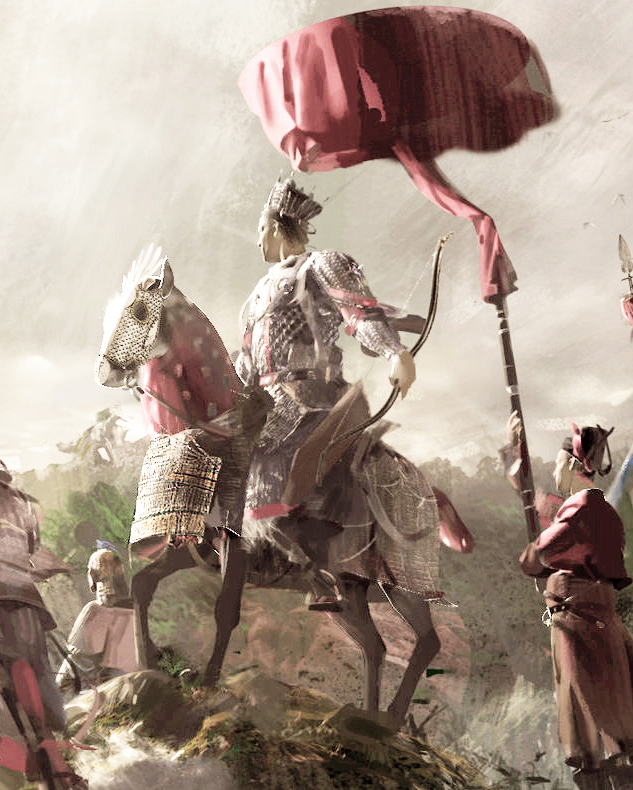 See the Ashina clan join the Tang and becoming the bulwarks of the Tang army, see Turkic soldiers and generals (and generalissimos) lead the largest armies in east Asia. See how one half- Turkic general nearly destroyed the empire. And finally see how even in the dying days of the Tang how the Uyghur Khaganate asserted their dominance in the west, see how Turkic generals still dominated Tang's internal affairs and found several of their own Chinese kingdoms afterwards. Türk devlet geleneğine göre devlet doğu ve batı olmak üzere iki kanat hâlinde teşkilâtlanmaktaydı. Devletin batı kanadı doğunun yüksek hâkimiyetini tanımak durumundaydı. Bumin doğuda kağan olduğu zaman, küçük kardeşi İstemi de Yabgu unvanıyla devletin batı kanadının başına geçti. (552-576). Bumin Kağan’ın devleti kurduğu yıl içerisinde ölmesi üzerine yerine oğlu Ko-lo (Kara) kağan olmuştur. Ancak O’nun da erken ölümü ile kısa süren kağanlığının ardından, Bumin’in diğer oğlu Mukan Kağan’ı (553-572), devletin doğu kanadının başında görüyoruz. Onun zamanında İstemi Yabgu batı kanadını yönetmeye devam etmiştir. Mukan Kağan, devleti daha da güçlendirerek, hâkimiyetini genişletmiş ve Çin üzerinde baskı kurmuştur. Devletin batı kanadını idare eden İstemi Yabgu, kısa zamanda, Altayların batısını Isık göl ve Tanrı dağlarına kadar hâkimiyeti altına aldı. batıdaki faaliyetleri sonucunda, Orta Çağ’ın en büyük iki devleti Sasani ve Bizans imparatorlukları ile ilişkiler kuruldu. İpek Yolu’nu ellerinde tutan Akhun (Aftalit) devleti, Sasanilerle iş birliği yapılarak ortadan kaldırıldı . Toprakları Ceyhun nehri (Amuderya) sınır olmak üzere iki devlet arasında paylaşıldı (557). Böylece Göktürkler egemenliklerini Kuzey Hindistan’daki Keşmir bölgesine kadar uzatacaklardır. excellent post. It is always interesting how the Chinese had relations and contacts with the Turks and boys some Dynasties had Turkic lineage. https://1.bp.blogspot.com/-jidzwlGOT84/WoevuMxbGqI/AAAAAAAAS6o/uPua8rX_odEW8rhXWzhhF4tCcAQK7-0jQCPcBGAYYCw/s1600/Tang.jpg What movie is this image from as well as the other images?